Sitting in my wonderful apartment in Paris, I felt very far away from the 2016 Presidential Election and the “peaceful exchange” of power during December and January. I was sure that being back in the United States would make it more real, less dream-like. Almost instinctively, I didn’t watch any news on TV except the PBS News Hour. I had come to really appreciate the news stations in Europe that just report the news without opinions or jeering or humiliation – on either side. It was refreshing, allowing me to make up my own mind. The PBS News Hour is much like that. Reporting the news and an expansion on the important stories during the hour. Still, I had news apps set to send me alerts of breaking news. I had called myself a ‘news junkie’ before I left for Paris. Now I just wanted to stay on top of the news, know what’s going on. Last night’s news had me looking at Trump’s hair for more than 2 minutes—I think his wig, or whatever it is that he wears, had slipped and made a big ball on the left side of his head–while the announcers reported on his first full day in office. I didn’t know whether to laugh or cry. This morning, I woke up very depressed. Of course, other physical health things that I’m feeling a bit powerless over are happening to me and certainly add to the blues. But I haven’t felt this kind of depression in a very long time. A lot of my good friends have been suffering since the Election. I was far away and, even though I feared the worst, I just wanted to stick my head in the sand and “give the guy a chance” As mostly billionaire white men were asked to be in his cabinet, I started fearing for the people who voted him in. How are they going to feel when they start losing subsidies and whatever little health care the ACA had given to them? Later this morning, I got an alert from the NYTimes about another executive order signed. Suddenly I just couldn’t take it any more. I have no control over what’s going on in Washington but I do have some control over how I’m going to feel each day. I went to my iPhone settings and turned off all my alerts from my news sources. I may stop the domestic digest of the NYTimes and only get the International digest. I can handle that much better. I also believe that the antidote to my depression is action. I will have to do something. Something that I’m able to do after a hip replacement surgery. As a university student, I was very active protesting the Vietnam war. I was a follower then. I wouldn’t have admitted that at the time. I couldn’t think very clearly for myself. Plus, I was not alone. Being a protester in the north against the War was almost a social event. It’s important to me that I think clearly, that I do my protesting in a way that fits with my values and beliefs and my capabilities. This is an on-going saga. I’ve got four years to perfect my protesting. One thing I will say about Trump. He is definitely a unifier. He has unified my friends and so many others, witness the Women’s Marches all over the world, in a way that hasn’t existed in a very long time. 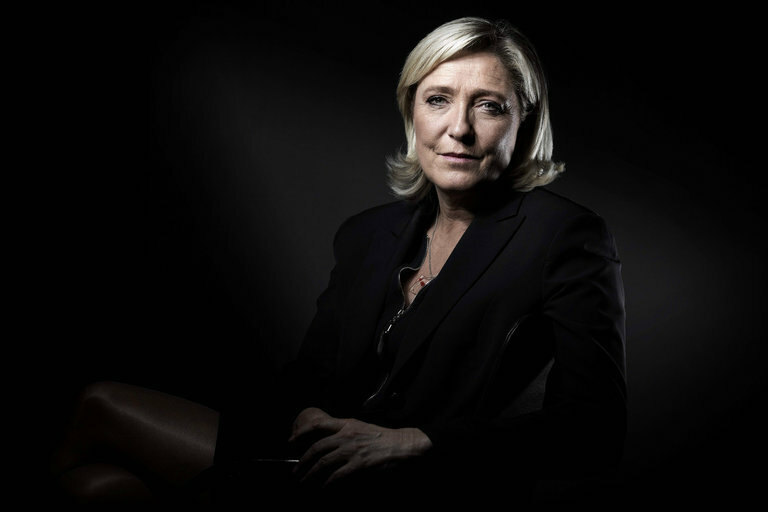 More to be revealed…..
After Donald Trump’s surprise win on November 9th, Marine Le Pen, of the Nationalist Front party here in France, called him to congratulate him. She is hoping that the wind that has blown so far right in the UK and the USA will blow her into the Presidency of France next Spring. François Hollande of the Socialist party and the present President, is extremely unpopular. The right (which in America would actually be the left) and the Centrist parties had a primary this past Sunday. The French; and exPats with French citizenship; stood in line for at least an hour, paid 2euros and made their choices. Alain Juppé, the Mayor of Bordeaux and a past Prime Minister-with a checkered past, was favored to win. Nicolas Sarkozy was one of the seven in the Primary and people were as much voting against him as they were for someone else. 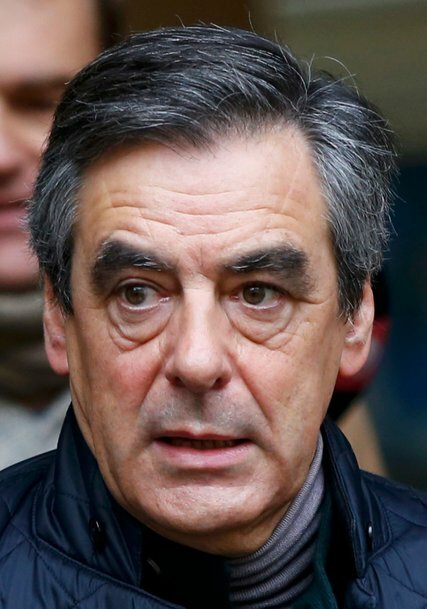 François Fillon, who surprisingly ‘won’ the Primary, got 44% of the vote. 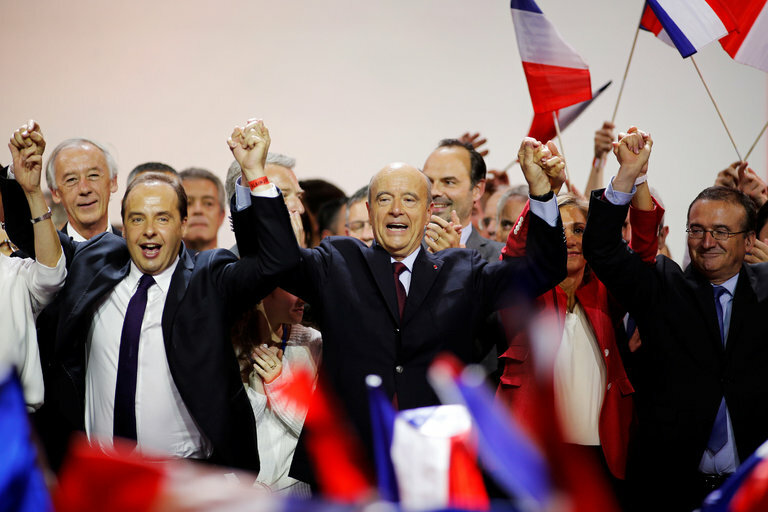 Juppé got 28% of the vote and Sarkozy got 20% of the vote. Juppé and Fillon will have a run-off this Sunday, Nov. 27. Sarkozy is out and Juppé and Fillon will be battling for Sarkozy’s followers. “They” are saying whoever wins the vote on Sunday will probably be the next President of France. That person will be running against Marine Le Pen and she will give them a run for their money. OF the two, Fillon is the more conservative. He was Sarkozy’s Prime Minister in 2007 and although the two didn’t get along very well, Sarkozy is throwing his support and his votes to Fillon. Juppé is more right (left) but has a very checkered past. It is unclear to me whether he did wrong or whether he took the blame for his President, Jacques Chirac. Either way, he has been a great Mayor for Bordeaux and, until Sunday, was the overwhelming favorite to win the Primary. As in the US, themes of economy, immigration and French identity, themes that Ms. Le Pen takes credit for bringing to the forefront, will be the dominating issues. Fillon also is advocating a nicer, gentler relationship with Putin’s Russia. Ms. Le Pen and her followers are feeling more confident than ever that she will prevail. Those in the know say whoever runs against her will win the Presidency. They also said Brexit would never win and Trump didn’t have a chance. I went to bed last night not knowing a result but it was pretty clear which way the wind was blowing. I looked on at the commentators in admiration as the night dragged on and they stayed cool, clear headed and just reported the facts. I went to bed because I couldn’t stand it anymore. I woke up this morning to the result I saw coming. The country has a President-Elect. It’s not Hillary Clinton. All my city and county results were almost exactly what I wanted. My friends will think I’m being naive. I am refusing to say anything with hate in it. I have not turned the TV on but I know that there are protests happening all over the country. It’s certainly a way of getting anger out! And there is plenty to be angry about. One thing you can say about Donald Trump is that he didn’t make false promises. He did not run on unifying the country. He has no intention of trying to bring together blue and red. He also made it very clear that he believes in Revenge. I suspect that will be his number one priority: to get revenge on all those who weren’t with him. So if you happen to be a member of the blue group or a man named Paul Ryan, there is definitely difficulty ahead. The similarities to 1933 Germany are striking. I am looking forward to reading Op Eds from people much smarter than I am on how to move forward. Protests in Oakland, California where I am at the moment. A friend called me and told me to listen to Hillary’s concession speech. Which I did. What a woman! Although I’m sure she was in shock, her speech was gracious while admitting her pain. And she urged we give Trump open-mindedness. No one seems to be listening. I also listened to Kaine, Obama and then Trump. But what is on all the airwaves is: how could the media have gotten it so wrong. I was in the UK, two days before the Brexit vote. It never occurred to me that Brexit might win. The cab driver who took me to Exeter airport told me that it would win, “just watch” she said, “The leaders have no comprehension what’s happening in this country” She voted against but she had her finger on the pulse much more so than the media or the leaders. Seems it was the same for the US. The media had given Hillary a 75% chance of a win. I believed the media. I will be be very interested if a consensus is ever reached about the media. What I saw last night, when NBC put up the map with the red states and the blue states, was that the country had turned red with blue hot spots. People are pissed off at everyone, at the government that is always in a stalemate, at anyone who represents the establishment. It’s not dissimilar to me when I was 20, 21, 22 years old and we didn’t trust anyone over 30 years of age. We wanted to change the world and we caused quite a disruption. Our one great coup was forcing the end of the Vietnam war. What will happen with this war? Out my window, it’s dark. The Quai is mostly clear. The Seine is quiet, all the young people who sit on the concrete sidings until 1 or 2 in the morning have gone home. The spotlights on Notre Dame have been turned off. It’s that time of night when the only people awake are those that are tossing and turning because they can’t sleep. I’m not looking out the window. I was deep into sleep and had set my alarm to wake up before 3am. Hillary Clinton is ‘debating’ Donald Trump. She actually looks lovely in a red suit and he looks exactly the same. His hair is combed forward and looks at bit like a small mop. Both are standing in front of a huge blown up photo of the Constitution. When she talks, he stares at her with a huge frown on his face. Here in Paris, the news doesn’t show either of these two at campaign rallies 24/7. In fact, I can’t remember the last time I saw the Donald on France24, Al Jazeera or BBC news. I’m very familiar with Hillary’s voice but I’m surprised that I recognize Trump’s voice. He seems to be doing exactly what he has done for a year and a half–criticizing “Secretary Clinton”, criticizing government, criticizing everyone that isn’t him. As I’m writing he is bragging about how he forced President Obama to produce his birth certificate. I’m stunned. What is it with him? He can’t produce his income taxes but because President Obama is black, he engaged in this birther theory year after year after year. I, and many of my friends that don’t live in the United States, are frightened. The slight possibility that Donald Trump could be President of the United States is so appalling that it is barely imaginable. Whatever one thinks of Hillary, I happen to be a fan, she is prepared to be president. She is probably more prepared than any other candidate in history. She’s been in the White House, she’s been Secretary of State and Senator from New York. She was shown to work well with Republicans in New York. If she were a man, there wouldn’t even be a competition. I’m surprised I actually woke up and got out of bed for this. I could have read a transcript in the paper in the morning. I could have read the critics’ observations and declarations of who the winner is. I needed to see for myself the narcissism, the outright lying, the incredible immaturity of the man who wants to be Commander-in-Chief. I give her huge points that she is standing there and still has a smile on her face. She must be seething inside. No matter the question, he has to have the last word. Lester Holt, the moderator, is not doing a good job of managing his outsized ego. One of the critics is saying that this is a debate for the fact checkers.